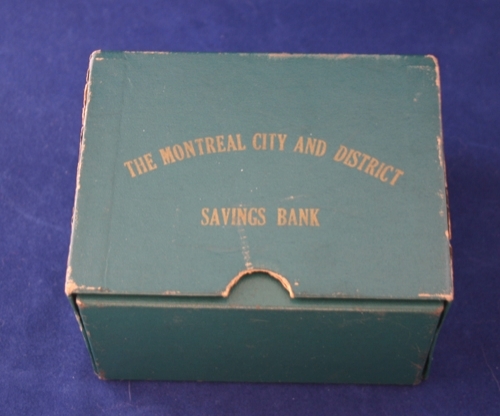 Mint Montreal City and District coin savings bank. 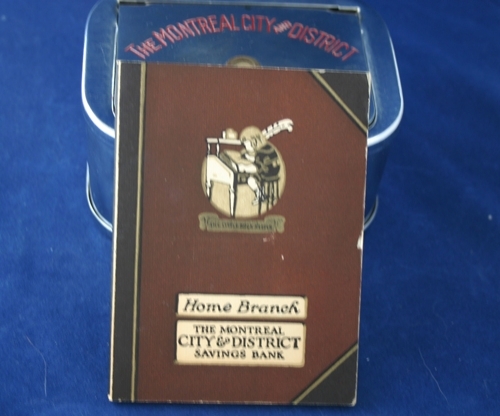 In original box, complete with child's savings booklet. 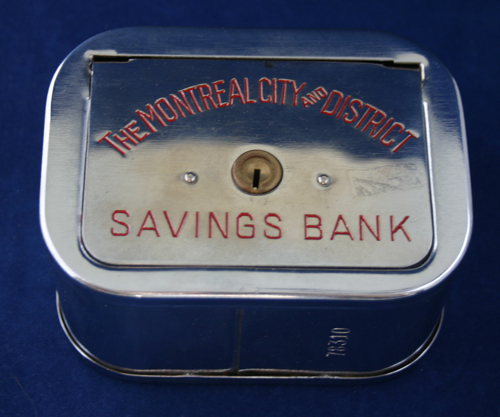 Booklet encourages young children to save. A few entries have been made in it.